My friend Stephen Windwalker from Kindle Nation Daily has put together a great tool for searching and finding free books on the kindle. Now he has created one for just books for kids. Check out the free kindle book search tool for kids. I'll be gearing up to involve some more schools in this program in August, so sign our interest form if you think it will be beneficial to your school and students. I found it interesting that as many iPads as I heard there were this week at ISTE that when it came time to buy books that everyone was tweeting the link for the kindle app. The Brain Rules book written by John Medina was $2.99 on the Kindle and a whopping $12.99 on the iBook store. Unless an iBook has some super fantastic videos or interactive features, it just isn't worth the difference. Social mention lets you track what people are saying about you, your school or more. It looks like it works a lot like Google alerts. Another great way for administrators to monitor "the buzz" about their school, particularly if it has a hashtag. A lesson plan search engine for teacher lesson plans. Website that sends you text messages to encourage literacy in their children. Great for parents or teaches. Interesting idea. The showme app on the ipad has some fascinating potential. I am going to play with this over the summer. Would love to hear from anyone who is already using it. Not sure how interactive ebooks will help students learn (dual encoding works) but here are some more interactive story books. Our project coordinator, Lisa Durff, makes lists of the Flat Classroom teacher "alumni" so we can keep in touch. This is a great group of incredible global collaborative teachers who are doing it. Suzie Nestico's webslides (made automatically from a Diigo list) for the diigo session at ISTE. Lovely wiki about diigos. Lots of things from Michell Krill who pitched in to help in our diigo workshop. Debby Atwater has some great links in her public library. Another example to review. here is my public library of diigo bookmarks. Neil is pulling over his bookmarks for his fourth and fifth grade classes. Here are some sample libraries from diigo users. Not everyone does what they say with money for charity. Lady GaGa is under scrutiny and criticism for not donating money to japanese quake survivors from the sale of her wristbands. Most think it is the economy although some attribute programs to get more women interested in the programs. Interesting website for those who are graduating or getting married. This lets you create one master registry out of everything on the web. Interesting. For nonprofits, you can create a list of the things that you need and people can put money towards those items. So, this could be used for schools too. Teachers could make a wishlist. Cool idea. 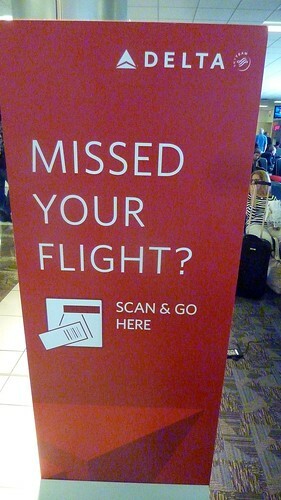 Wish I was at ISTE conference. 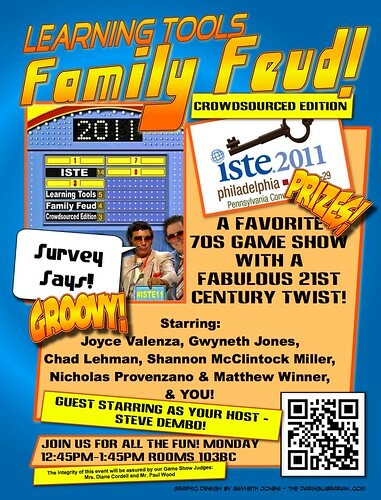 Learning Tools Family Feud #ISTEFeud See the "Answers" to our Crowdsourced Survey HERE! http://t.co/ZdFsKeQ #ISTE11 add Yours! Pretty cool chat convo from my #iste11 session yesterday morning. http://bit.ly/jrsAoK Sincere thanks to all who joined in. Today, Tuesday, at 5pm in Rm PACC 123, Julie Lindsay will be leading a birds of a feather designed to help schools find each other and begin global collaboration. The audience will be peppered with our certified Flat Classroom teachers - those who have been through our new book (www.flatclassroombook.com) and have proven their ability to collaboration AND CARRY THROUGH via our projects. The audience will be salted with you... those of you who are ready to REALLY do it. So many teachers complain that it is hard to find classrooms that are ready to collaborate. Here is your chance. Please join us today. I hope to skype in to at least listen and say hi to some of you. Flat Classroom Project - Project for older grades, students must be 13 years and older to join this project. Applications open now for this year. This will run two times next year. 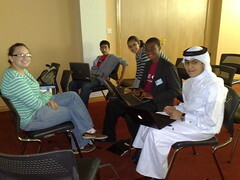 Digiteen Project - Projects typically for 12 and up about digital citizenship run by our nonprofit. This will run two times next year. A Week in the Life Elementary Flat Classroom Project - an exciting project for elementary age classrooms to link theirs with others around the world. Flat Classroom Certified Teacher Program. We have another program running this August - December and will also have one during the book launch. Flat Classroom Book website - If you want to know in advance about our book or host a blog or podcast and would like to interview us, everything is there. Be part of the global collaborative education movement! Students are the greatest textbook ever written for each other! Please RT and invite your friends! If you are a school and need help with your facebook page, this may be the option. Every school should have a facebook page in addition to your website. Twitter for newsrooms is out. This is a guide to help journalists. It is fascinating to watch journalists have to grapple with some of the most significant changes in their profession since Gutenberg's press. Students need to learn to go deeper than just Googling. Here is a short 2 minute video on that topic. McGraw-Hill launched its first all-digital, cloud-based textbook for the K-12 market on Monday at the International Society for Technology in Education (ISTE) conference. This is called CINCH and is a "cloud based curriculum" for K-12 math and 7-12 science. It makes everything available through a browser. As more people connect via Skype, the demand for live streaming is there. I think conferences can either acknowledge this and make it possible or they will continue to see us do it ourselves, taking bandwidth. The tough thing is that sometimes licenses are tricky and presenters may not want it recorded - this information is not usually shared publicly as it should be. Remember, however, that google searches are becoming personalized which makes it more important than ever to use deep web resources. Tammy’s Top 20 Favorite Web Tools! Tammy Worcester's top 20 Favorite web tools include: avatar editor, jam studio, odosketch, several things from igoogle, and more. This is her handout given out at iste2011. Collaborative writing and editing continues to move into the classroom. If the pundits didn't like wikipedia, what about a dictionary that students build for themselves? "The purpose of this project is to create a free, open simple dictionary for students to use. This dictionary will ultimately be published in a variety of formats and for multiple platforms. To add to this project, find a word you'd like to write a definition for or click "Instant Karma" for a random word. Please consult the style guidelines for editorial information." Mike Fisher's Livebinder on Ipads in schools. If you're using iPads, this is an excellent resource. KB Connected's livebinder with some great animal webcams. If you study animals, this is a great place to go for resources. Why not let your students build these resources for you? Here are Michael Thornton's student livebinders. These are textbooks written by the students. Except for the typo on Ancient Greece review, this is a marvelous example of having students build meaningful textbooks.Interestingly, Michael's livebinder puts together livebinders themselves. I'm going to be learning more about this tool and have my students use these this year. This was named at ISTE 2011 on Monday.There are some great livebinders here. @web20classroom Was hoping you could share this video with the #iste11 audience: http://t.co/xjF8E9s Thanks, Steven!! All Things ISTE 2011 http://t.co/yCwm1a3 Conference Resources. Thanks PLN! #iste11 #edtech #edchat I <3 EduTech! RT @jessievaz12: RT @dianadell: Here's what I learned at #ISTE11 and #EBC11 sitting in my recliner :-) http://t.co/SMKso1Z Watch it grow. Bernajean Porter has some of the best digital storytelling resources anywhere on the web! I love her new information about iPad storytelling apps. RT @showmeapp: the wait is over!! ShowMe in the Apple app store: http://t.co/pYMDAJ7 #edchat #elearning @showmeapp team will be at #iste11! Whoever says cheerleading isn't a sport needs to see how much icy hot, how many bruises, and how much sacrifice it is to do this sport. I don't have the answer but I do know who has to be the one to get the answer: me. This is one of the most important things in my daughter's life and she has a spine that she will have with her for the rest of her life. My Sessions will Go on! Julie Lindsay is running DigiTeacher along with some help from Barbara Barreda and a visit from Anne Collier. Adam Frey is running the wiki session. I am working on some Diigo experts to present the diigo session. I'm heartbroken but this isn't about me. I could pretend to be the martyr but I'm not - I quit a great job to be a stay at home mom for these precious babies and didn't regret it a moment. I want them to know that they are more important than any blog, book, or anything. I guess as with this sort of thing and being a blogger, the biggest sacrifice is my own fear. Will I become irrelevant? Will people still want me to speak at their conferences this next year? (most of my bookings come from ISTE.) Will? Will? Will? The fact is we WILL have a Flat Classroom book (www.flatclassroombook.com) coming out in January 2012 from Pearson Publishing and I WILL be back at ISTE 2012 signing books and doing sessions about global collaboration. As for the other things, I think the good Lord will just have to handle that for me. If he wants me to speak, He'll put it in the minds of those who've seen me speak before. I'm not fading out or signing off or checking out on anyone. My commitments for ISTE11 are fulfilled and I didn't renig- so hopefully those who know me know that I keep my word to the best of my ability. But this is one of those things in life that just happens. You know I can talk to you all the time about having your priorities straight, but if I don't have mine straight then, I'm a hypocrite. I might as well stop talking. I'm not perfect by any means, but this is my chance to live my priorities to you, my friends. It is costing me, big time - at least I feel it is. This is MY Pd. I'm going to have to read a lot next week to learn from all of you who are there. "A good name is to be had above great riches." The worst feeling is that somehow someone will think less of me as a person for not going. The fact is that if you spend your life trying to please everyone you are living a life on quicksand. For me, I choose to live a life firmly grounded on a foundation of God and family first. Again, I'm not perfect, but it does give peace when such winds blow. Life is short. We don't get do-overs. Yes, there are tears on my pillow, the collar of my robe, and this piece of paper with the confirmation number for cancelling this flight with Expedia. The ink is all smeared and I even have the first few characters of my cancellation "S-24" tattooed on my left cheek where I laid down my head and yet, right now, my relationship with my daughter isn't. It is funny, my daughter's name begins with an S and these first three letters remind me that I'm her mom 24 hours a day - ISTE lasts for but 72 or so. I doubt in five years anyone will remember if I was there or not -- except her. She knows that she is more important to me than anything else. That, my friends, is priceless. Carry on, learn a lot, laugh a lot. Have a great time! Meanwhile, I'm begging ISTE to let my conference ticket convert over to some sort of virtual attendance! I want to at least see Stephen Covey on Tuesday. I'll get to see John Medina of Brain Rules fame at the Microsoft Innovative Educators Forum in Seattle at the end of July. But I sure do hope someone will live stream me to watch the Family Feud on Monday - I was really looking forward to that! Excited about our workshop this upcoming Sunday at ISTE. It is almost full and it is going to be a lot of fun as well. Here is our public wiki so you can follow the participants as they share and learn. The best way to learn about digital citizenship is immersive and hands on! This is modeled as a face-to-face version of Digiteen and received excellent reviews last year. I recommended it to my Dad and he likes it. It is something I can use and keep coming back too as I wrangle the bull into a steer that will pull a work wagon. 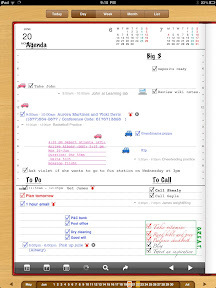 A viewer for microsoft office docs that works with evernote on the android platform. Evernote has a ton of android apps that are being released from third party developers. Play a memory game with your evernote notes on your ipod touch or iphone. Take notes out of evernote and put them into a flashcard maker. Although the best student notetaking software, I believe, is and continues to be One NOte - the incredible apps and evernote trunk are attracting students because of how they help them study. The link up can happen and you can use studyblue to help you study on any type of device. I know this is memorization and "lower order" thinking but it is still a fact that it is part of learning today. Cutting up with my sister, running on no sleep. Here is the official ISTE Newbie site along with Newbie-wear for ISTE 2011. This year's ISTE Newbie project has selected George Couros to come to ISTE 2011. What a great selection If you'd like to help, please read more! Did you know that Richard Byrne, the writer of free tech for teachers, was the first person sponsored by the ISTE Newbie project. This is such a worthwile project by Beth Still. In Spring 2008 she wanted to see if it was possible for "a regular classroom teacher from Nebraska to leverage the power of Twitter to accomplish a goal." They raised $1500 to send Richard Byrne to NECC. So many of us in EdTech have benefited from Richard's blog Free Tech 4 Teachers. See what happens when you pay it forward? When you help others? 40 classrooms participated in the monster project this past year! What a great project for younger age students which encourages reading and writing skills while integrating technology in the classroom. Plus it is about monsters! Kids love (or hate them) either way, fun conversations ensue. Lists of tons of global projects for schools. Founding in January 2009, this website requires that you be directly involved with students. The challenge is to connect with 80 different classrooms via Skype. Once completed you will be inducted into the hall of fame! Created by Silvia Tolisano. Teacher fired this may for Friending students. "“We have an ethics policy about appropriate boundaries and behavior, and certainly ‘friending’ students on a social network is not an appropriate boundary to cross,’’ Schafer said this week. He declined to reveal the nature of the allegedly inappropriate communication between O’Keefe and the students." 7 pointers on school improvement. Make sure you delve down into the expanded conversation of these 7 down on the webpage. A nice post about building trust in virtual groups. For those of you teaching online, this is an informative read. Research tags before you use them. This is a perfect example. A youth revival that decided to use the hashtag #LookAtMeNow when tons of people were using it for not so Christian content. You can laugh but people use hashtags all the time. We spent quite a bit of time picking the hashtag for global conversations and popularity has a cost - if a hashtag becomes popular, some spammer will hit it eventually. he Global Virtual Classroom (GVC) is a collection of free, online educational activities and resources. It aims to complement the efforts of governments and educators around the world to integrate technology into their classrooms and curricula and to link their schools to the Internet in educationally productive ways. They have several contest sites. Kristin Hokanson's presentation about Copyright. She is one of my go-to people because she explains this so well and helps me see how to best teach my students. A video that includes information about Hannah, an amazing student in Maine who is empowered with change. She is a product of Maine's 1:1 laptop initiative. Cathy Wolinsky from Maine mentioned Hannah's work in her Flat Classroom Certified teacher closing cermonies. 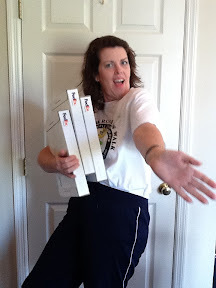 A teacher who travels and takes students "vicariously" with her through her blog. What is ahead for Egypt after the revolution? is their question. Join in! A global collaboration between several classrooms who use art to communicate. Alaska, China, US. Exciting! Presented by CAthy Wolinsky from Maine in our Flat Classroom Certified teacher closing process. A Ning created by some Flat Classroom Certified teachers as they get ready to deploy their global collaborative project. WEbstory is an offline blog edtor that seems to have a lot of people who really like it. I'm looking for a good offline blog editor that will let me do some extra things on my blog. One third of high school graduates never read another book for the rest of their lives. Forty two percent of college graduates never read another book after college. 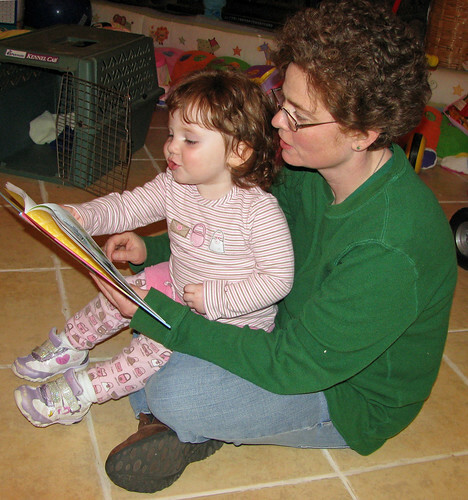 Eighty percent of U.S. families did not buy or read a book last year. Is education killing the future of those it is designed to inspire? Are we lighting the love for learning or dousing the flames of potential greatness? Reading nourishes my life, soul, and essence. When I have a problem, I find a book. I have an affection for my Kindle. I collect books signed by authors. Books improve my life in very real ways from helping me lose weight, to be a better parent, to being a better wife and teacher. "Earl Nightingale said many years ago that one hour per day of study in your chosen field was all it takes. One hour per day of study will put you at the top of your field within three years. Within five years you’ll be a national authority. In seven years, you can be one of the best people in the world at what you do." In the five years since I read that, I've worked to hit that mark - tucking in a quick book or blog during halftime of the basketball game or while under the hair dryer at the beauty shop. Reading is life, success, and love. Judge for yourself if it has helped me contribute to the field of educational technology and teaching. We are just playing death by numbers here. As long as kids are bubbling in the right answers, we think we've taught them something? What if we had a society where everyone read an hour a day? What would that look like? If you want to see educators get all snooty, send them to a conference and make them experience death by PowerPoint. I've seen over half a room at ISTE clear out when a speaker droned on. We weren't learning and we (some quite rudely) left. We vote with our feet. Students vote with their lives. Our students experience death by numbers. It is a common malady in most schools today. Tests are important but most of us agree that it has gone too far. Fear often incites us to improve but it is not a long term response. Yes we should be afraid of a future led by people who only have their own minds to pull from. A society that doesn't study history repeats history. Let's learn from past mistakes. Anger, I think is a better response. "Humph. You're just a little girl from a small town. You'll never make it here at Georgia Tech. You've never had an AP class and you can't make it here. You're just here to get your M-R-S degree anyway. I think that by the end of this quarter you'll be standing on this same street corner crying with your bags packed waiting for Momma to come pick you up. You just can't cut it here in the big leagues and you're just small town girl." I used that as ANGER and at the end of that semester I had a 4.0 in my mailbox. At the end of my time at Georgia Tech I was first in my class. Anger (and a drive to do my best) sustained me. As I sat in the library at 2 am I pictured his face and used it to make me study another 2 hours that I needed. Whatever it took there was nothing that was going to stand in my way. "I may not be smarter, but I can work harder." became my motto. It still is. That is what we need now in education: ANGER. Not irate yelling sessions at school board meetings. Anger at ourselves. Parents who complain their kids aren't reading should know that kids read if their parents read. Point one finger at someone else and you have four pointing back at yourself. No, I'm talking anger at ourselves for not doing better. Anger at a system that is producing people who hate learning. Anger that we are not brave enough to tackle and do what needs to be done. The kind of anger that causes ACTION. Sylvia Martinez recently wrote about the AP tests that are PROVEN to be biased (against women) and that just putting a gender box at the beginning of a test biased the results as we all seek to conform to stereotypes. The decision to do nothing is a decision to do something. If our fear won't move us forward, maybe our anger will. Because if we don't get angry, eventually we will be motivated by our shame. And in the end, that shame might just make us angry enough to do something. Change is hard but change is needed here and everywhere. Isn't it time to get angry that almost a third NEVER READ ANOTHER BOOK -- IN THEIR LIFE? Isn't it time to get angry that almost HALF of COLLEGE graduates NEVER READ ANOTHER BOOK -- IN THEIR LIFE! Oh, you say, they are reading blogs, books aren't important. I don't care who you are, but books represent some of the highest forms of scholarly work we have and they have value in our society along with the blogs and tweets that carry us forward. They are part of being a lifelong learner. It might not be on paper but it is a book. I'm asking you to get angry. Reading is important to every discipline, every content area. It is part of what makes us civilized. Let's work on this problem together. I've been writing for days - maybe I've slept 10 hours since Sunday - I don't know. But I do know that global collaboration is important to education, maybe more important than ever. If you're online in fifteen minutes we have our second class of Flat Classroom certified teachers about to present. They're in the room now and nervous - http://tinyurl.com/fcpcert11-1 is the Blackboard Collaborate Room. I don't know how much I'll talk today, I'm so very tired. Been playing old movies streaming via Netflix onto my iPad 2. I'm on Chariots of fire for the second time. Lots of races finishing today. Join us! Here is the time to grow Keynote that Julie and I did not so long a go. Was listening to it and I think the message is still relevant. It is about change and a willingness to grow. Technological advances in the field of information and communication technologies enable innovative ways to mediate knowledge. Among them, Augmented Reality (AR) becomes increasingly a field of interest. Integrated in e-learning systems, AR will provide innovative ways to transfer knowledge in education. This is the purpose of the project Augmented Reality in School Environments (ARiSE). The aim is to create an innovative teaching aid, enabling teachers to develop, with a moderate effort, new teaching practices for teaching scientific and cultural content to school classes in an easy to comprehend way. " T.S. Eliot's masterpiece is now an app. An expensive app, topping at $13.99 but it has literary experts abuzz. It includes the poem, perspectives, sychronized performances from Eliot (at two points in his life) and other readers, the original manuscripts showing the process of editing the document, and lots of resources and readings. Created by Faber digital it is part of "Faber's mission to re-imagine poetry for the digital age." If you teach literature or are an edtech professor, it is time to get this on your ipad and put in some serious academic reviews as to the quality of content here. Academicians now have a new place: writing reviews on the iTunes store. We may have an app-full textbook-free future. The DeforestAction project has sstudents create local, national and international entrepreneurial initiatives that protect and regrow endangered forests and create local projects to promote awareness and action. A ning promoting connections with schools in Asia. Lovely slideshow by Valerie Diigs on her school's transformation from library to learning commons. She's been featured in several books and in school library journal. I think every librarian should be familiar with the learning commons concept to see if there are elements that will work to make your environment more relevant to learners. It isn't whether you like the concept yourself - for libraries to stay funded they must stay relevant. I think learning commons is just one way to do that. Valerie knows far more than me on this topic, so look at what she's done. Why is your hard drive full? Why does it keep filling up? I use this to help me find those pesky video files that keep FILLING UP MY HARD DRIVE.